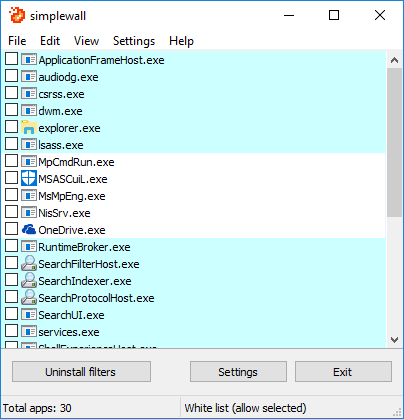 I discovered "simplewall", a portable, open-source, rule-based firewall, and thought it might be of interest. It works in either whitelist or blackist mode for control of applications and/or ports. It does not use the Windows Firewall, which could even be disabled. Description: Simple tool to configure Windows Filtering Platform (WFP) which can configure network activity on your computer. Simplewall v2.4.6 released (changelog at https://github.com/henrypp/simplewall/releases/).